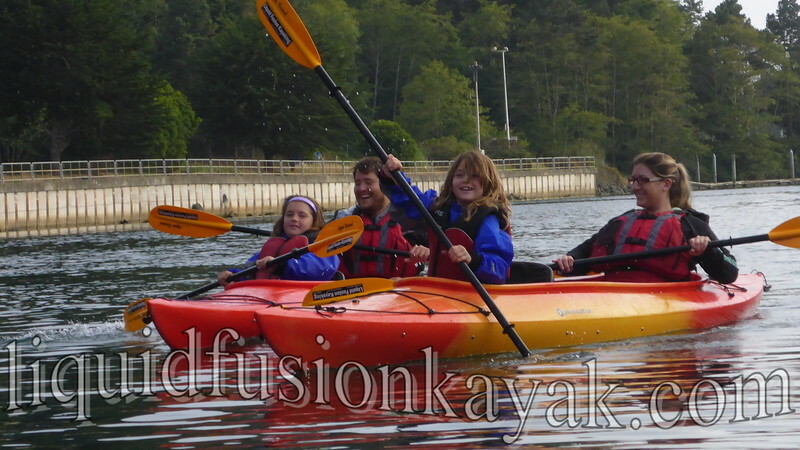 Liquid Fusion Kayaking: Summer Kayaking Fun! 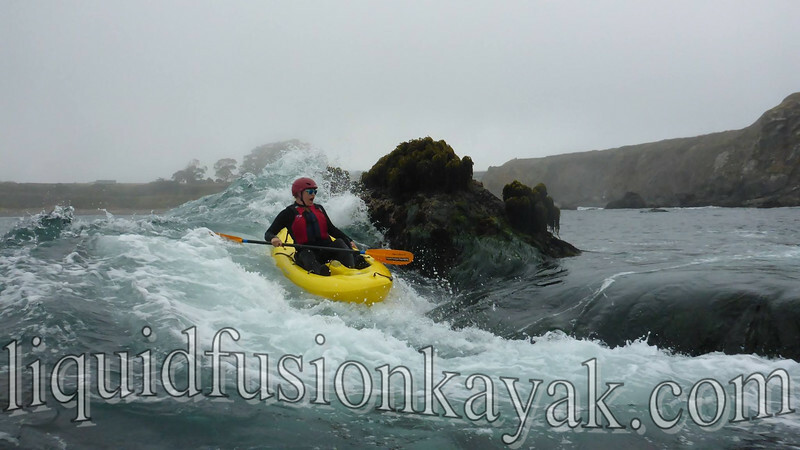 From mild to wild, Liquid Fusion Kayaking's summer tours on the Mendocino Coast have been a blast. On the dry and mild side, the Noyo River Estuary has been gorgeous with fun wildlife sightings. 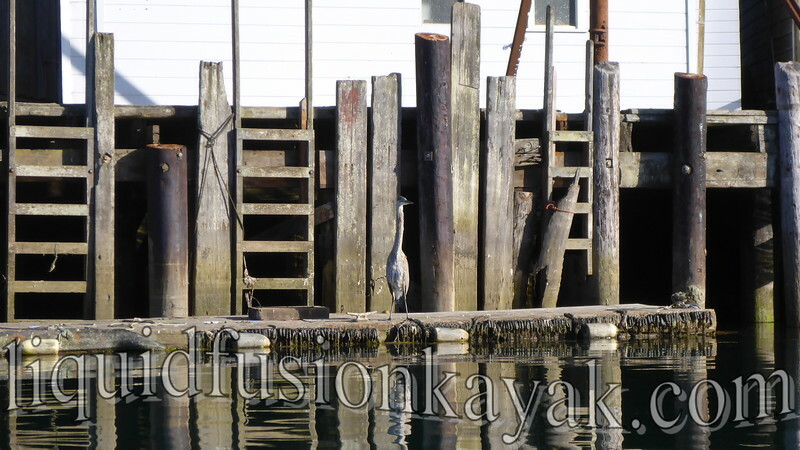 A great blue heron watches observes LFK's Sunset Bird Paddle. 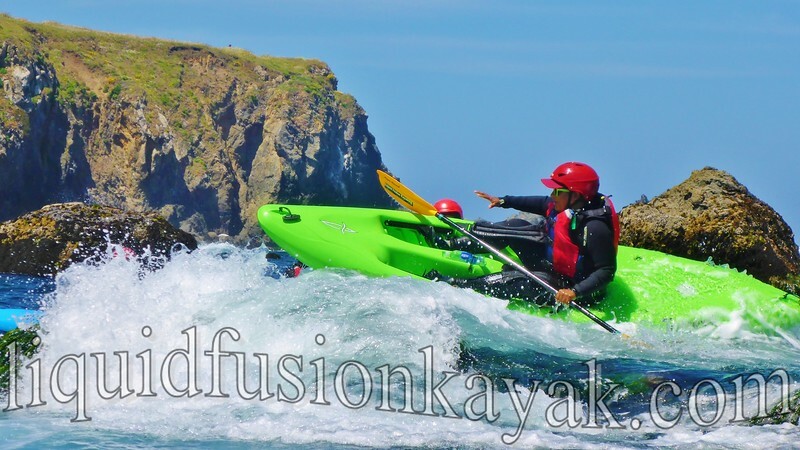 On both the Noyo River and in the Pacific Ocean, we are having fun introducing the sport of kayaking to first timers and facilitating some good old family fun out on the water. 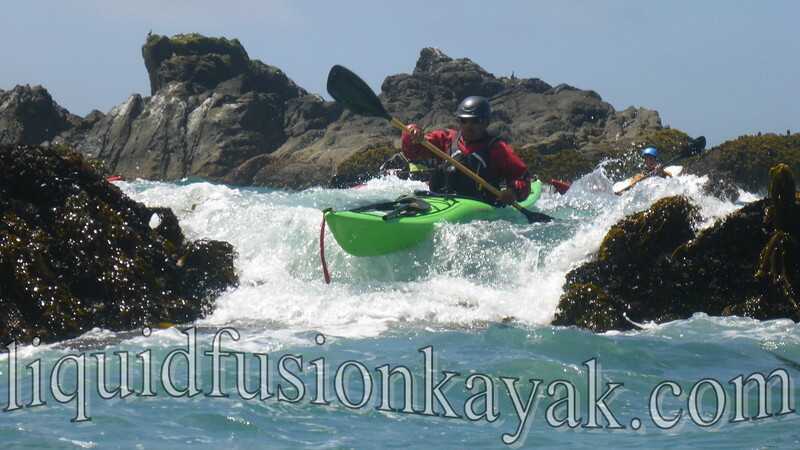 On the wet and wild side, LFK's Whitewater of the Sea Adventures continue to delight paddlers who want to play and experience the thrills and spills of rock gardening in the Pacific Ocean. The class was super fun. The students in the class worked well together as a team - supporting and cheering for one another. They also played hard - working on their own personal skills, pushing their limits, and laughing and playing on ride after ride. The class was so much fun that we decided to schedule another one for this fall. If you are interested, check it out The Art of the Pour-Over. 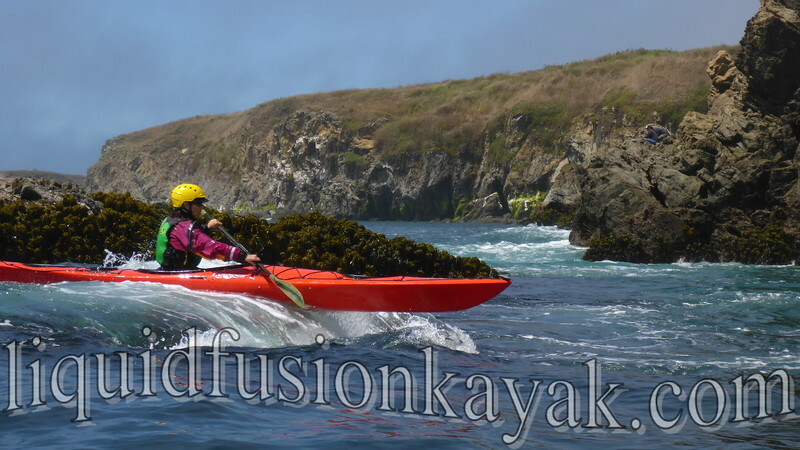 Join us in September or rally your paddling pals and we will schedule a custom class for you. 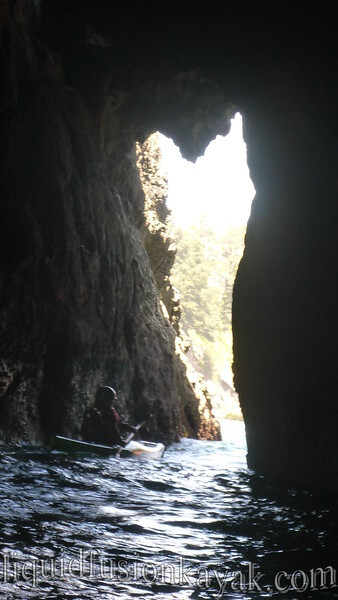 We are still in the midst of summer and are looking forward to many more fine adventures on the water.